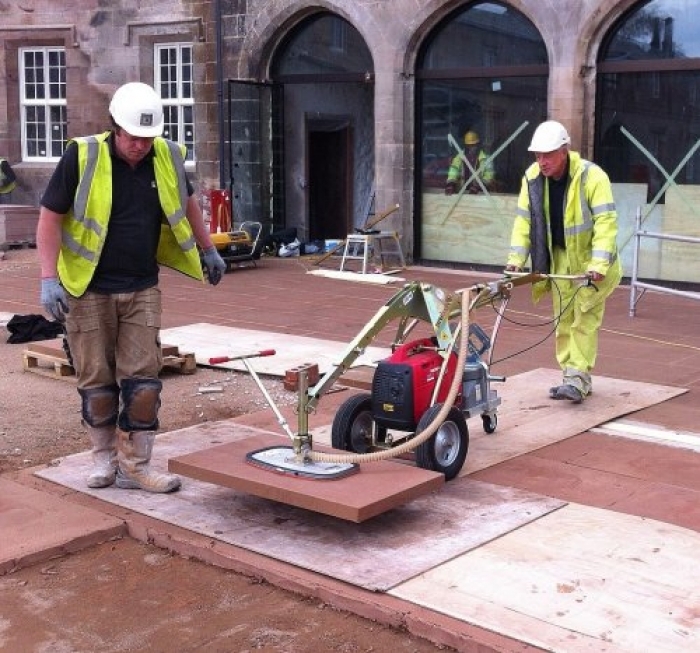 The UNI MOBILE UM avaiable for sale or hire from Fast Hire & Sales is and installation device that can handle concret and natural stoen upto 150KG with ease. This one man operation reduces labour cost and physical strain is reduced thanks to the load being transferred through the wheels. The boom is lifter via a gas spring with integrated brake, controlled by a lever on the operating handle. The UM-VS-S comes complee with an integrated gernerator totally independant from the mains. PLASE NOTE – Suction plates have to ordered seperately.